"Next to a dogs' exercise area (toilet), with lots of grass, surrounded by bushes and trees, of the same or even greater size than the playground. 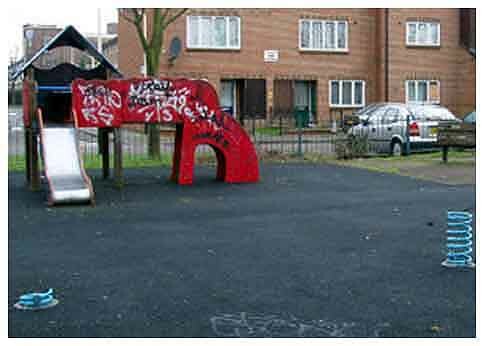 "It's not surprising that you hardly ever find any children playing here. There is also a welcoming 'No ball games here' notice."